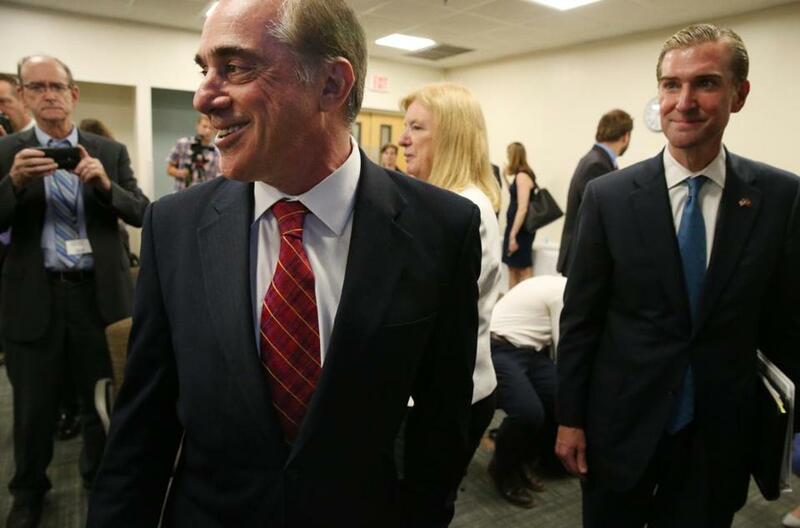 Secretary of Veterans Affairs David Shulkin visited the Manchester VA Medical Center for the first time Friday. MANCHESTER, N.H. — Hours after arriving at New Hampshire’s only hospital for veterans for his first visit, Secretary of Veterans Affairs David Shulkin on Friday announced that he was removing the head of nursing services, the third leader of the troubled Manchester VA Medical Center he has ousted in three weeks. Flanked by the four members of New Hampshire’s congressional delegation, Shulkin also told reporters that his department planned to invest $30 million in the hospital in order to improve care, although much of that money had already been earmarked for various projects. Shulkin said he was acting in response to a dozen whistle-blowers currently and formerly employed by the hospital, many of whom alleged substandard care in a Spotlight Team story on July 15. The whistle-blowers, who include the recently retired chief of medicine and the former chief of surgery, alleged a variety of deficiencies ranging from flies in an operating room to spine patients permanently disabled as a result of neglect. Shulkin, a physician who is an appointee of President Trump, met privately with eight of the whistle-blowers for an hour Friday and later told reporters that the litany of problems they outlined wasn’t particularly unusual for a hospital. Shulkin removed Carol Williams, the hospital’s head of patient and nursing services, who had been a target of criticism by the whistle-blowers. Her dismissal follows his removal of the hospital’s director and chief of staff hours after the Globe article appeared in mid-July. “What we need is a new leadership team who will help bring the organization into the future and meet the needs of the veterans here,” Shulkin said Friday. The Globe requested comment from Williams through the hospital spokeswoman, but got no immediate response. Shulkin also announced that the VA would earmark about $5 million to start a physician-led center that will help veterans get care through a program that allows veterans to go to private medical facilities, called Veterans Choice. He also called for $7 million to repair parts of the hospital that were damaged by recent flooding and $18 million for new construction, though that money had previously been earmarked. In addition, he said he has asked Dr. Michael Mayo-Smith, the regional leader for the eight VA medical centers in New England, including Manchester, to head a panel that would look at restoring “full-service care” for veterans in New Hampshire. Manchester stopped providing inpatient care in 1999 and farms out patients to other VA hospitals and private specialists for an increasing array of treatments. Shulkin said he wasn’t necessarily proposing that Manchester resume inpatient care, but said it might partner more with other private hospitals. Several of the whistle-blowers who met with Shulkin had mixed reactions to his announcements. 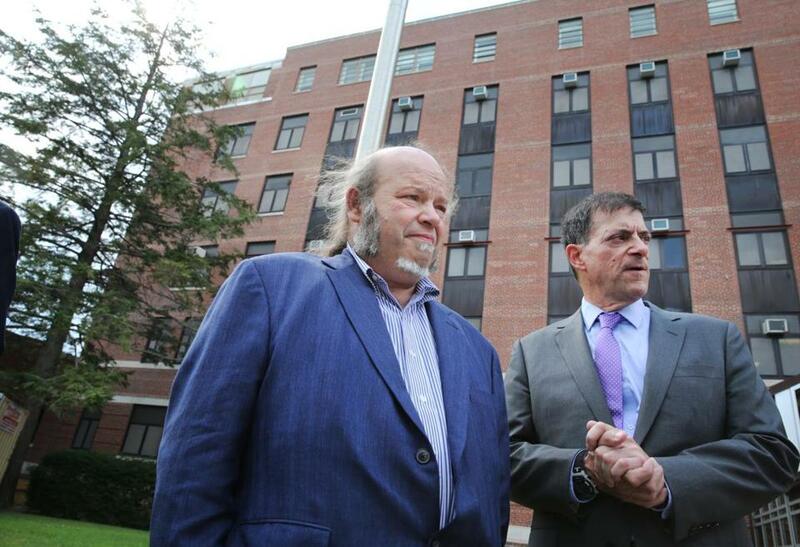 Dr. William “Ed” Kois, a pain and spine specialist who has alleged that more than 80 longtime patients suffer from debilitating spinal problems that might have been prevented with proper care, was especially pleased that a third hospital leader had been ousted. Kois said he was also encouraged by the new investment in the hospital as well as Shulkin’s pledge to work with the whistle-blowers to improve the hospital. “I thought Shulkin has started in the right direction,” said Kois. But Dr. Stewart Levenson, who resigned last month as chief of medicine after 18 years at the hospital, was skeptical of Shulkin’s pledges. Levenson was angry that Shulkin had appointed Mayo-Smith to oversee efforts to improve care through the Veterans Choice program. Levenson said he had repeatedly complained to Mayo-Smith about problems at the hospital in recent years and got nowhere. Mayo-Smith also did not return a request for comment through the hospital spokeswoman. In addition to talking with whistle-blowers, Shulkin met with more than 150 employees and patients, some of whom spoke passionately about how much they rely on VA care. Whistle bowers Ed Kois (left), the head of Manchester VA's spinal cord clinic, and Stewart Levenson, the retired chief of medicine at the Manchester VA hospital. The Globe has reported that an operating room at the hospital has been closed since October because of a fly infestation that dates back at least a decade, while surgeries have been canceled in other operating rooms because instruments weren’t properly sterilized. Given the problems at the hospital, a reporter asked Shulkin, how could Manchester have gotten four out of five stars last year in the VA system’s own internal ranking? Shulkin’s response: Those ratings aren’t worth much. He said the rating system is “heavily weighted” to inpatient hospitals, and Manchester provides only outpatient services and day surgery. He said the VA is revamping the rating system and that it would probably be more meaningful to compare Manchester to other private hospitals its size in the region. Members of the congressional delegation said they were hopeful that the hospital will improve as a result of the steps outlined by Shulkin, and they credited members of the medical staff for speaking out. “I appreciate the whistle-blowers who came forward to raise concerns,” said Senator Jeanne Shaheen. The controversy in Manchester began last year when eight doctors and three other medical staff members began reporting problems to a federal whistle-blower agency, the Office of Special Counsel. The independent agency in January found “substantial likelihood” that the whistle-blowers’ allegations were true and ordered the VA’s Office of the Medical Inspector to conduct an investigation. 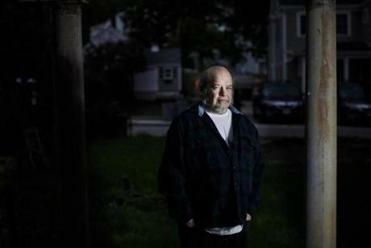 The medical inspector, in turn, found violations in Manchester, but did not find significant harm to patients. On Friday, Shulkin said multiple investigations into the whistle-blowers’ concerns are continuing, including a new probe by the Office of the Medical Inspector and another by the VA Office of the Inspector General. He has promised that the current investigations will be a “separate, wholly independent” look at Manchester’s care.